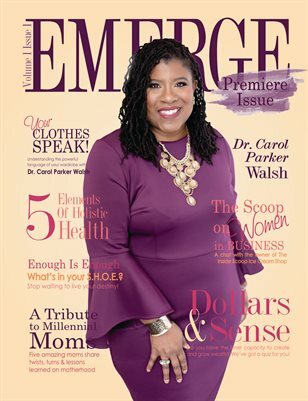 Emerge Enterprise Media Announces Official Debut of Emerge Woman Magazine! Our new magazine offers women everywhere a publication designed to empower and inspire. Emerge Woman Magazine will help propel women into the fullness of their potential and who they are created to be. ***Be sure to click on PREVIEW beneath "Read Sample."